Before starting this WordPress blog, I used Blogger.com, to write short-lived blogs for specific purposes. I am linking to two of these blogs here. 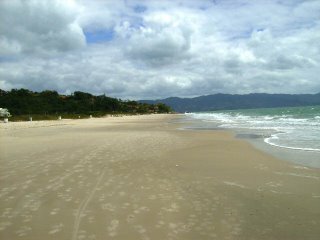 My first foray into blogging was in 2006, when I wrote a blog to record my experiences of a six month stay in southern Brazil (April to September 2006). This blog was accompanied by a website, but I ‘pulled the plug’ on the website a few years ago, as I no longer wanted to pay for the hosting service. But the blog still exists and I also collated the blog posts into a book using Lulu self publishing service . The title of the blog is: Retorno a Florianopolis. I still enjoy looking back through this blog. The other blog was created to accompany an online course I co-taught for Oxford Brookes University, UK, on reflective learning. I did this to model the value of open reflecting whilst studying on a course and hopefully to encourage others to do the same. The course ran three times, so I used the same blog each time. The title of this blog is: Reflective Learning with Reflective Learners. Both these blogs were started before I began to use WordPress. This Jenny Connected blog was started in September 2008 to accompany Stephen Downes’ and George Siemens’ first ever MOOC (massive open online course) on Connectivism and Connective knowledge. I have been blogging on and off ever since.